WordPress oEmbed support makes it extremely easy to embed images, video, audio & other contents from external sources in your self hosted WordPress website. You just need to paste the URL of the content on the editor; and WordPress will automatically turn it into an embed. Here is a List of sites that WordPress supports till date, but still there are lots of content from sites that we want to embed but WordPress doesn’t support yet. For easy navigation we created these buttons which will take you to your desired section. 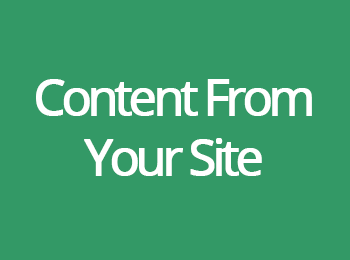 Using oEmbed you can embed content from below websites without any extra plugin or hassle. Just paste it in the editor and WordPress will do the rest. 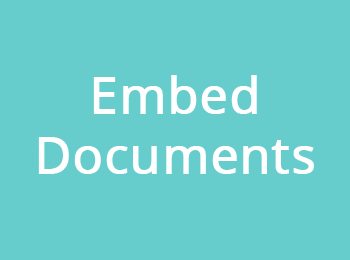 Beside Google Doc Embedder there is another plugin some people find quite useful is Embed Any Document. 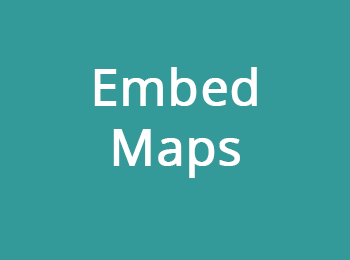 After creating the document, Click on File -> Publish to the web..
You can include multiple maps in a post or page using MapPress. If you want to configure additional setting go to Dashboard -> MapPress and use this MapPress detailed documentation to guide you through the settings. Paste it in your post or page, click Update. Paste the shortcode in your post or page, click Update. Since introducing oEmbed, it is easy now to embed videos from popular websites (YouTube, Vimeo, Vine, Ted, etc.). You just need to paste the link and WordPress will take care rest of it. 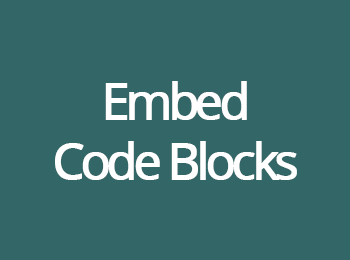 If you want text beside your embedded video you can use embed shortcode. (Applicable only to sites supported by WordPress). 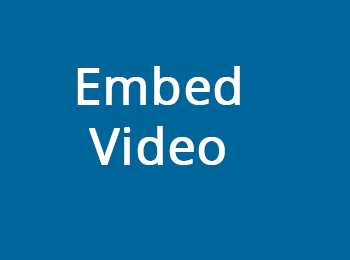 Just write your videos URL between [ embed][/embed] tag. Using Jetpack you can change the height, width of an embedded YouTube video, even set the start and end point of a video. Follow these steps to customize the YouTube embed with Jetpack. For detailed explanation,visit this page. Tip: You can also embed the channel as a gallery. If you are a visual learner, check out this here is a video tutorial. 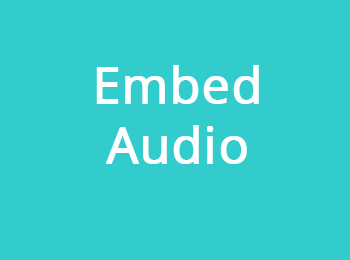 Since introducing oEmbed, it is easy now to embed audio from popular websites. You just need to paste the link and WordPress will take care the rest of it. Select the file you uploaded, scroll down to Attachment Display Settings and make sure to set Embed or Link to “Embed Media Player”. You can easily embed contents (Post, Tweet, instagram) from popular social media. You just need to paste the link and WordPress will take care rest of it. Tip: If you want to display a Pinterest board on to a sidebar widget go to Appearance -> Widgets. Add a text widget to the widget area and paste the code into the text widget. You can embed Twitter feed, list, favorite tweet & tweet search timeline in your wordpress post, page and widgets. Follow these steps to embed twitter feed to your widgets. What did we miss? If you think we have missed anything please let us know in the comments. Towhid is a Web developer & HubSpot certified Inbound Marketer. Co-founder of WPD and CMO at Optimizer WP. Love all things Football and very interested in how WordPress will change the industry. Grab Our Mobile Responsive WordPress Site Builder Theme that’s being used by 50,000 websites. Check out our Extremely customizable WordPress Theme Optimizer that lets you create beautiful websites for free without touching any code. Trusted by over 70k websites. 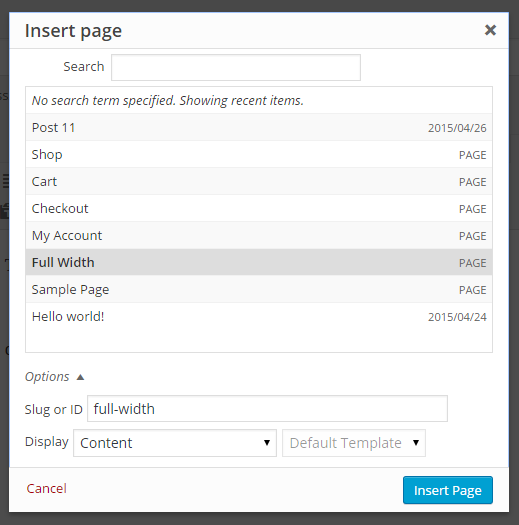 The plugin repository has many more good startup with wordpress plugins that provide tools for content embed. Jetpack does not support the [facebook] shortcode that your tutorial lists. The shortcode only works for WordPress.com sites. Hi, can we embed LinkedIn content/posts? You can use http://embed.ly/ or https://iframely.com/embed to embed this content. So if WordPress doesn’t allow iframes, what is another way to embed external content (I’m specifically trying to embed a PearlTrees board: http://www.pearltrees.com/alibrarylife/selection-development-digital/id17643194 ). I tried Embed.ly, which didn’t work. PearlTrees is not oEmbed whitelisted. I can’t use a plugin with my version of WordPress. Any ideas?? The iframe method works perfectly on my WordPress site. However, there’s a forward slash missing in your closing iframe tag above… . Thank you. Wow, thank you SO much. Embed.ly was the perfect solution to embed all of my websites into a master site. Just a simple IFrame shortcode does not work for this in WordPress. I had tried about 8 different plug-ins before I found your Blog. Much appreciated!!! Can anybody think of how to embed the contents of a musical.ly feed? Convert it first to SVG (see http://lilypond.org/doc/v2.19/Documentation/usage/command_002dline-usage.html) or better : use a different music sheet format like MusicXML or MEI and insert directly your score with a shortcode. See https://wordpress.org/plugins/music-sheet-viewer/. Best Drag on Drop Wordpress theme Loved by 110k users.